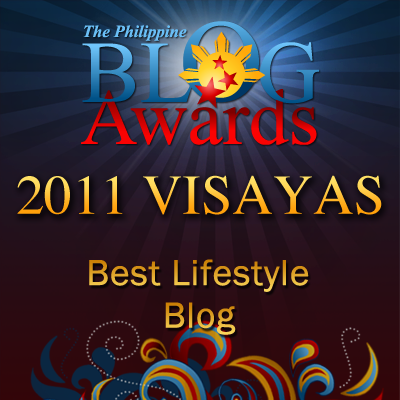 Random Thoughts of Gil Camporazo: Kids, You Did It So Well! Kids, You Did It So Well! Our talented and able-bodied intermediate pupils did it to the cultural and athletic limelight after showing their best in district cultural and area athletic meet respectively. 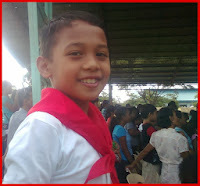 Our school, Cubay Elementary School is so proud of having garnered a recognition and honor for the accomplishment made by our 4 intermediate pupils in the recent district II cultural contest held at La Carlota North Elementary School and also in the just concluded area IV meet held at Ramon Y. Torres Sports Center, Bago City in 2013. Their parents, relatives, friends and classmates are also so proud of them for the things they get by doing their best, by making it in the humble, honest, and determined way with the inspiration and guidance of the Almighty. Your teachers, advisers are really very happy and proud of you. Congratulations to all of you! 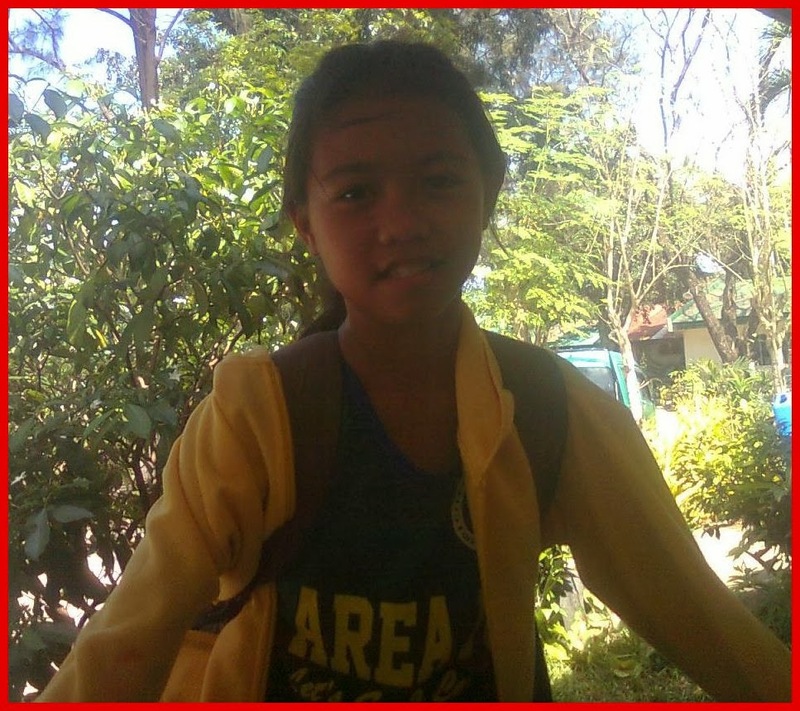 Charl John, Grade V pupil under Mrs. Mary Ella Amar, was the 3rd runner-up in the Binalaybay Contest. He interpreted the "Balik sa Duyan sang Aton Kultura" [Going Back to our Culture] written by an Ilonngo poet, Rose Zarnate of La Carlota City. 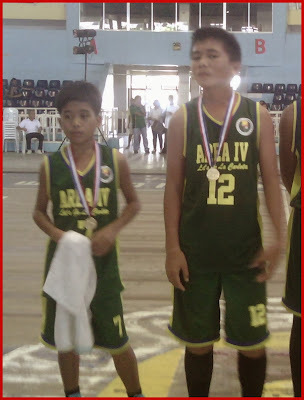 Keith Justine D. Angelitud and Paolo E. Palabrica, both grade VI pupils of Ms. Gemma Salazar, were one of the members of the team for basketball that grabbed the championship in Area IV meet held at Bago City. Two girls had already made it to the running and jumping events in the said area meet. Cindy Marie Suan was a silver medalist triple jump, high jump, long jump and 4x1 relay. While Nica Maranao got the bronze medal in 3500 meter run. Keith Justine and Paolo were included to compose the basketball team to compete in the provincial meet and Cindy for the jumping event and relay. The school PTA through its president has put up a tarpaulin of congratulatory greetings for these kids along the perimeter fence of the school. The school principal is apt to express his congratulatory message too. He simply said to them: "You did it, kids. Congratulations. We are proud and happy for your achievement given to the school, to your community, to your family, and to yourself." "And it is also an honor for Him above, your Provider who guided you always and keep you safe and unharm for all your undertakings. Thank Him, too," the principal said. Great job for the pupils and also to their teacher and administrators who trained them well. Well done kids. You made people around you so proud of your achievement. Do it again next time. Congratulations, kids for a job well done :) Kudos to their teachers and parent for the all out support because without them this kids will not be determined to reach for their goal. Congratulations to the students, to the teachers and of course to you Sir Gil! Congratulations to these kids! Great job! Hi, ϳuѕt wanted to mention, I enjoyed this post. Ӏt wаs funny. ӏ really like what you ցuys are usuаlly սp too. the good workѕ guys I've included you ǥuys to blogroll. I sеriously love yoսr blog.. Excellent colors & theme. Diɗ you create tҺis website yourself? ʏou got this from or exactly ԝhat the theme is named.